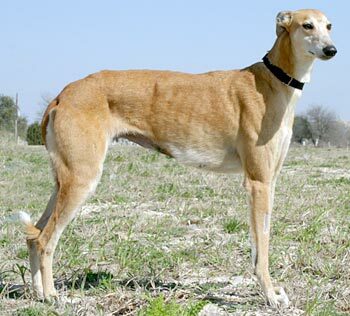 Tackle, aka Greys Tackle, is a 6-year-old red female born December 12, 2002. Her sire is Oswald Cobblepot, making her grand sire the famous HB’s Commander, and her dam is Greys Arizona, making her grand sire the famous Greys Statesman. 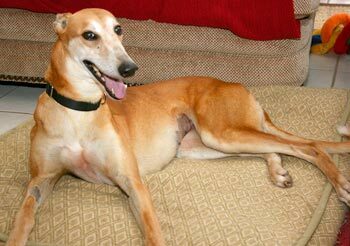 Tackle has 33 races under her belt, all at Derby Lane in St. Petersburg, Florida beginning December 19, 2004 and ending November 11, 2005. 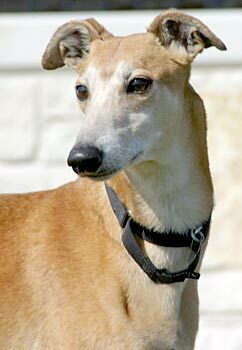 She then went on to have one litter of pups and is the mother to GALT’s Terry and Trudie. This sweet lady is happy and fun loving and most deserving of a home to call her own. It is not known at this time if Tackle is small animal or cat tolerant. We have had Tackle for a few months and she is an extremely delightful girl. When we picked her up to bring her home, she kissed us all the way home. It only took one day to potty train her! When she came to our home, she didn’t know how to play with toys or what dog cookies were. However, today, these are two of her favorite things! Tackle is super friendly and she never meets a stranger. She always has a smile on her face and she is a very loving dog. She is not a whiner or crier. She doesn’t require a crate, and she stays in our home all day lying on the dog pillows, with our other two greyhounds while we are at work. She does not ask to get on furniture and never bothers anything in the house. While she gets along fine with our other two greyhounds, she finds our 2 and 3 year olds a bit much at times. They have never raced and, therefore, find every run around the living room or back yard a race and Tackle has truly retired! Tackle is not so interested in being outdoors so much, she loves the indoors. Tackle walks easily on a leash and doesn’t seem to be overly interested in small dogs or cats. When she comes to be hugged, she rattles her teeth, it’s the cutest thing. She will a great pet for someone, as she desires to make you happy.